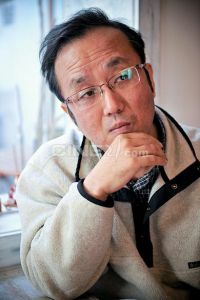 AHN is a photographer and director of documentaries. As an Asia-Press reporter, he has traveled across east Asia, collecting data on educating Korean-Japanese immigrants and the forgotten parts of Korean film history. He has produced < Silent Crying >(2002), a documentary which deals with military prostitutes during World War II. He has also co-produced < Osaka Eleven: A Story of Osaka Korean High school Soccer Team >(2007). [HanCinema's Film Review] "The Truth Shall Not Sink with Sewol"